EMCEL manufacture the CBRN filters for protection on military vehicles and other applications. The filters contain a HEPA section, better than 99.997% efficient against BS3928 Sodium Flame for the removal of biological agents. And a specially impregnated carbon section for the removal of nuclear/chemical vapours and gases. EMCEL have logged new Nato Stock Numbers for our AEP54 compliant Vehicle Filters. 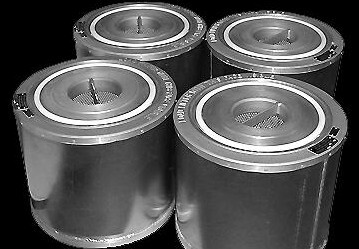 The NSN number that corresponds with the EMCEL manufactured CV90 Filters is 4240-99-250-3437. The NSN number that corresponds with the EMCEL manufactured No.1 Filters is 4240-99-176-1162 . Filter options currently include UK No.1 Vehicle Filters and Filters compatible with CV 90 and CV 170 CBRN Systems utlised by NATO forces.